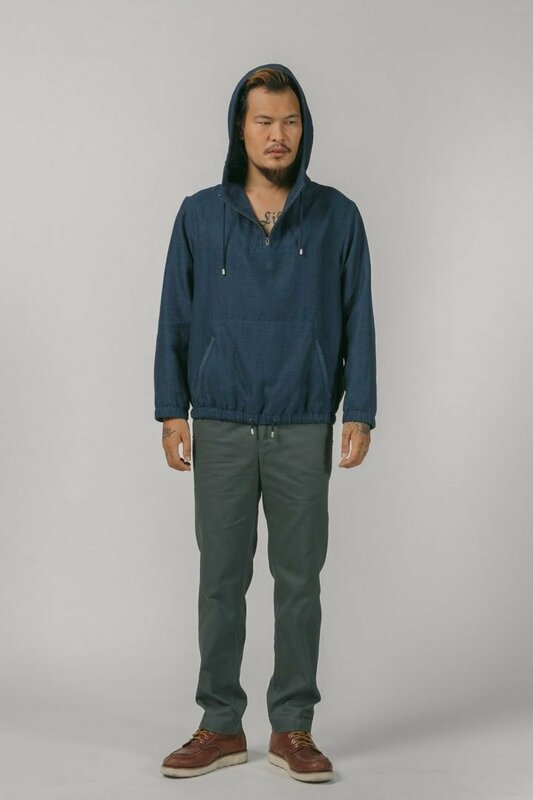 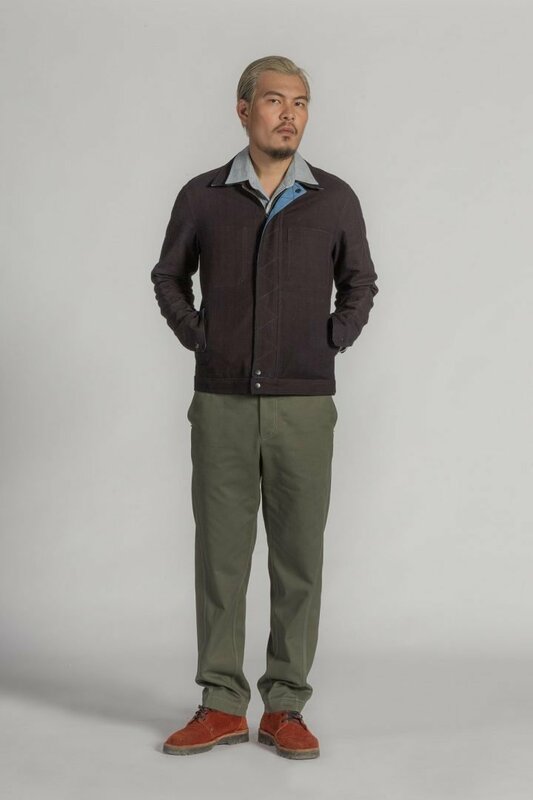 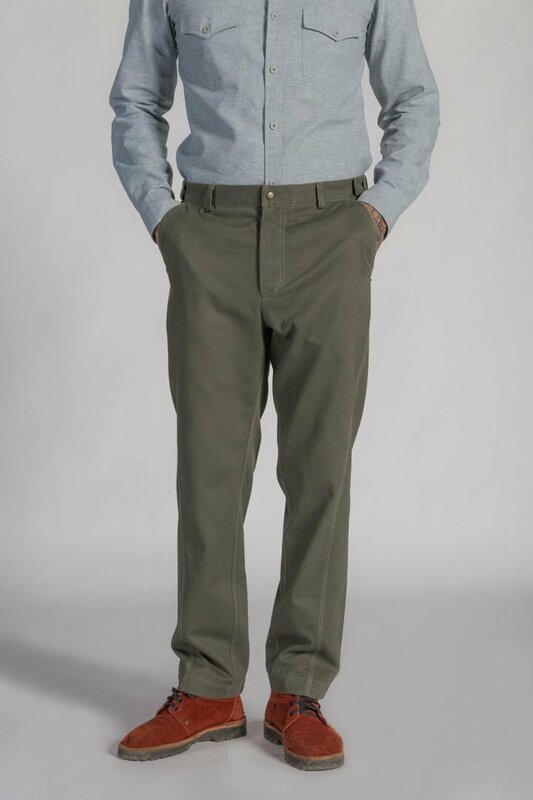 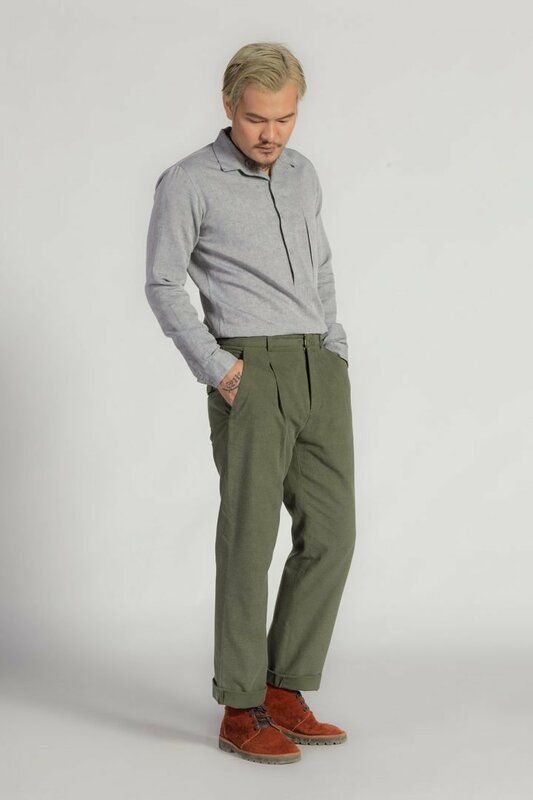 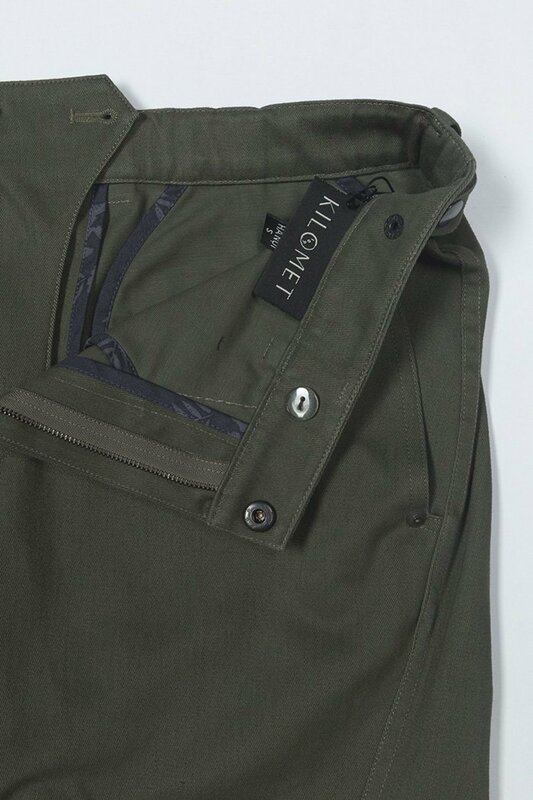 These trousers have a slightly tapered leg silhouette made from cotton-twill. 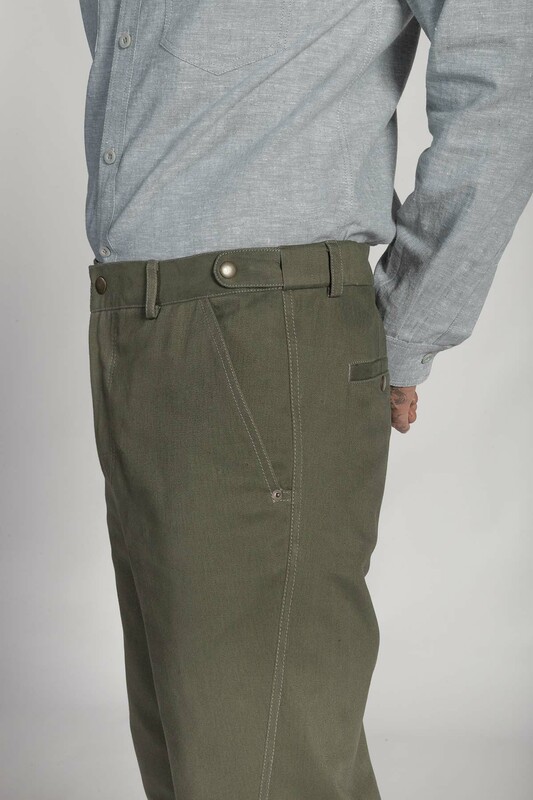 Updated with cleverly adjustable back belt band and twisted seams for extra interest. 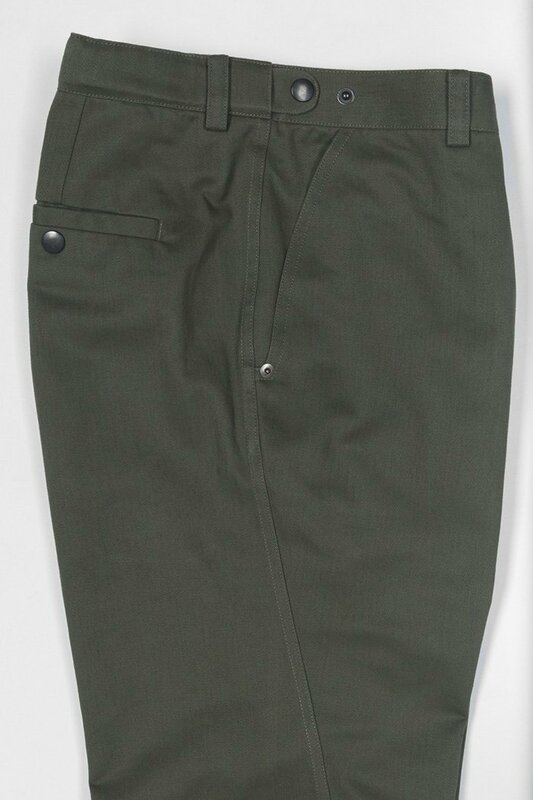 Brass snap buttons.